Registration will be closed at 11:00, 20 Mar 2019. Those who are not registered may try to walk in on a first-come, first-served basis. 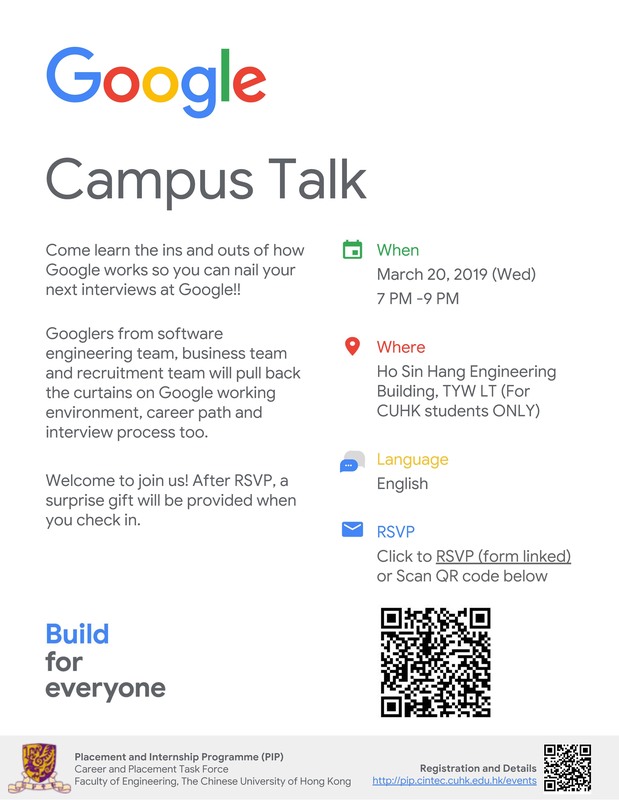 Come learn the ins and outs of how Google works so you can nail your next interviews at Google!! 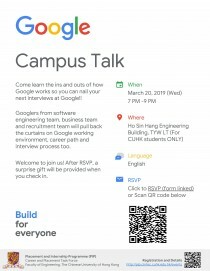 Googlers from software engineering team, business team and recruitment team will pull back the curtains on Google working environment, career path and interview process too. Welcome to join us! After RSVP, a surprise gift will be provided when you check in.